Brooklyn welcomed a new meat restaurant this month on Ave U. 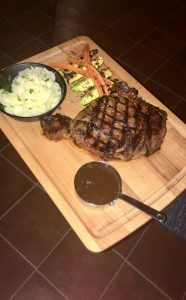 Bistro 613 Steakhouse is serving up steak dinners plus other items straight from the grill, burgers, and more. 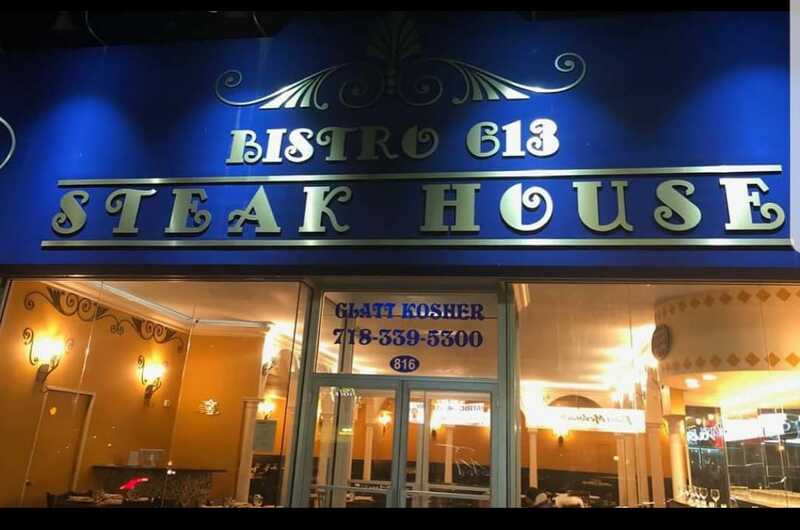 Appetizers include hummus senya (lamb, beef, or schwarma with pita), bistro cigars, smoked brisket rolls, empanadas, “613” tacos (pulled beef), mergez, bistro beef sliders, and more. The impressive steak and chops menu features the classic rib eye, prime rib, 20 oz. Delmonico, filet mignon, tenderloin hangar steak, and lamb chops. Dishes from the grill range from baby chicken, shish, kafka, and lamb kebabs, mixed grill, and fried schnitzel. 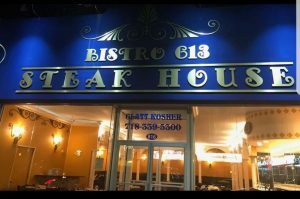 Bistro 613 is kosher certified by Kehila Kashrut.